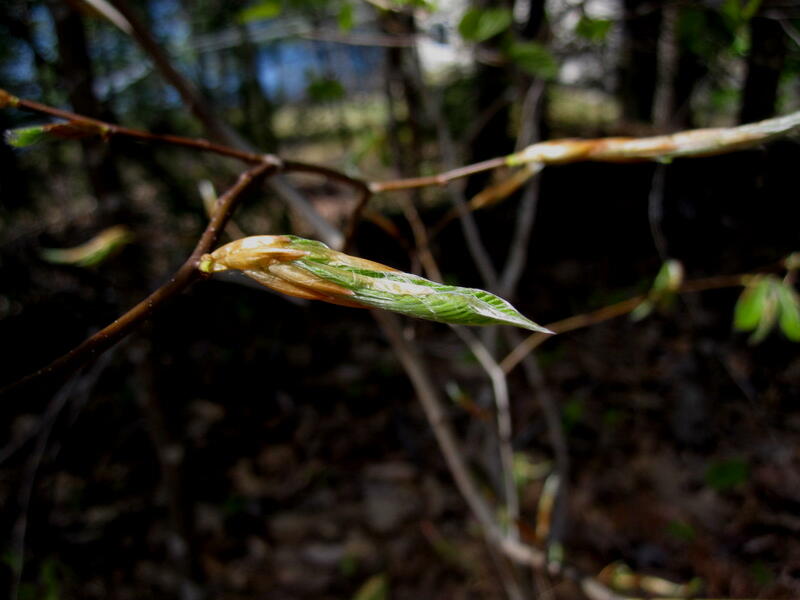 More evidence that Lake Wicwas will soon be green again is emerging from the earth and water. More and more leaves are rupturing their buds and starting to paint the hills with the faintest hint of summer color. 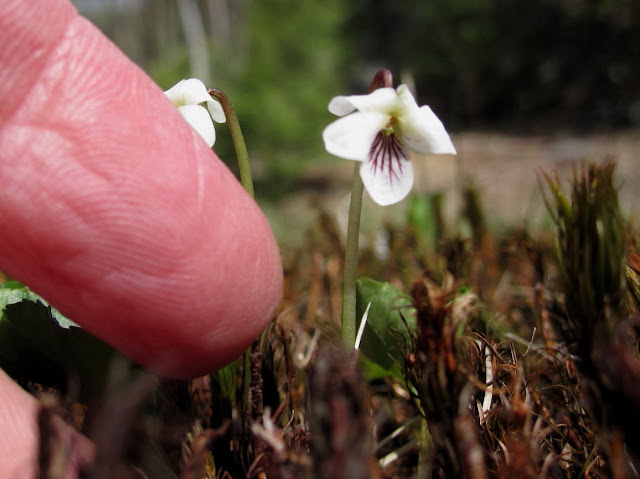 Joining the tiny wildflowers now in bloom are the sweet white violets. They might look big, but they aren't! 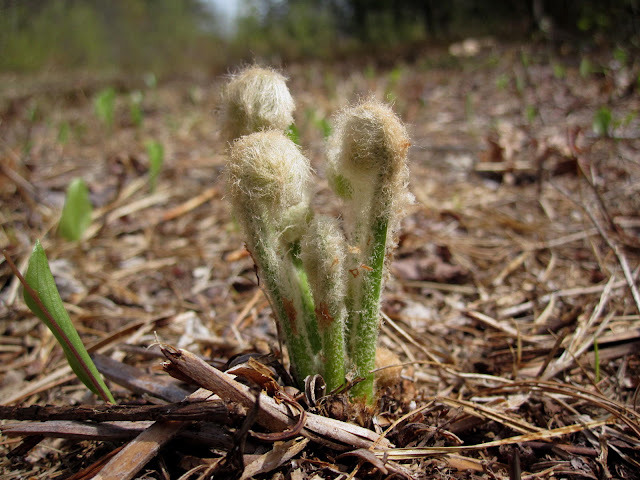 The ferns are in various states of growth as well, providing the signal that fiddleheads should be available. Sure enough, Moultan Farm had them this weekend - locally harvested - a couple of weeks earlier than usual. 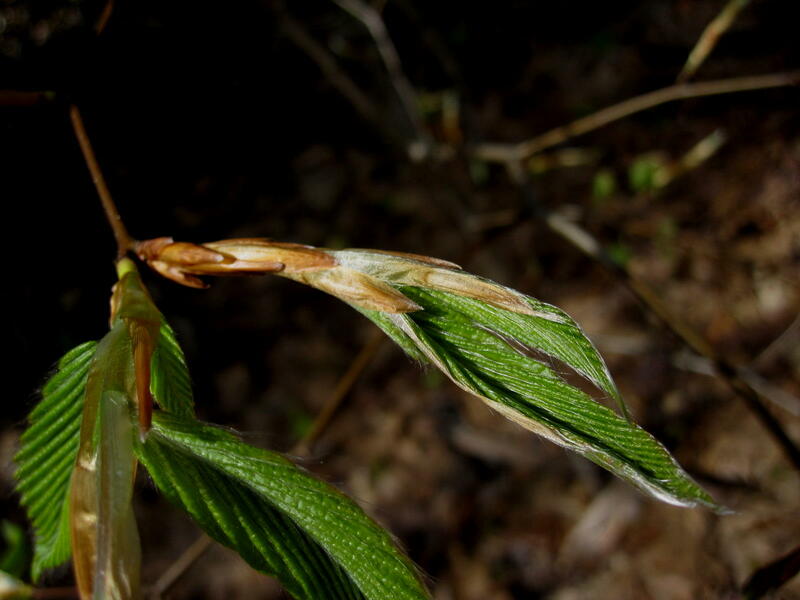 They are a once-a-year treat as they’re in the proper state for such a short time. The ferns I’ve seen around Lake Wicwas aren’t the eating type.... 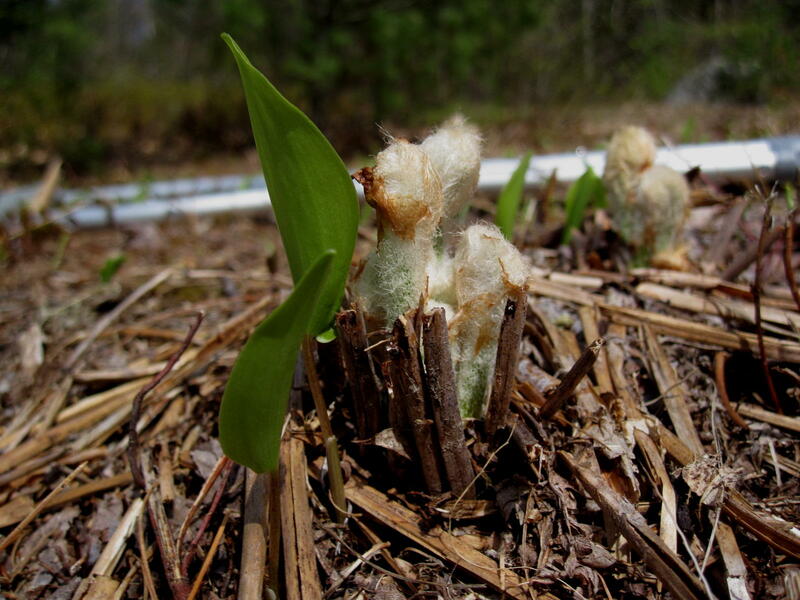 Here are some just pushing up amidst the dried up stems from last summer's plants. The past three days have given us very strong winds, strong and steady, with gusts over 30 mph. 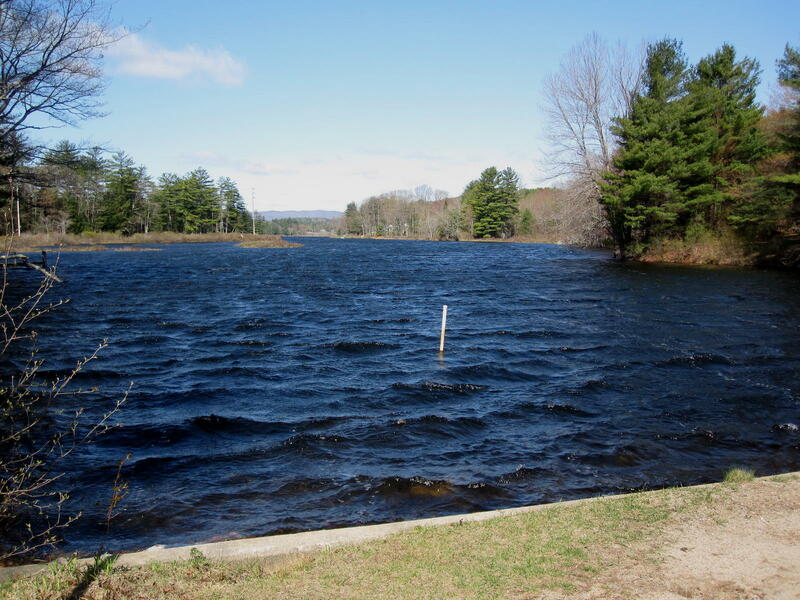 The wind direction on Friday gave a long fetch down the north edge of the lake, with good size waves crashing against the dam. 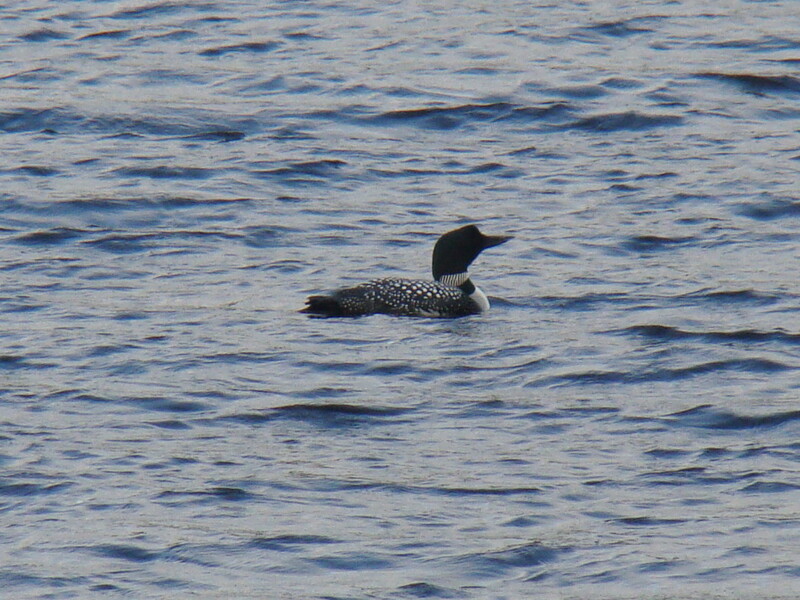 Perhaps the winds have kept the loons in sheltered areas, as we only saw them a couple of times. 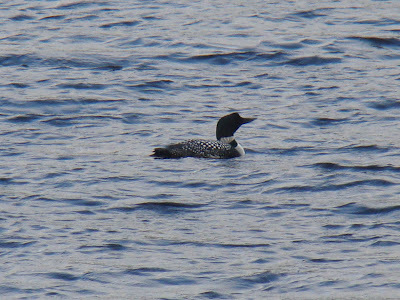 We seem to have three loons on the lake at the moment – a pair, and a single loon keeping its distance from the others. Hopefully the pair is searching for a safe nesting site, and will be as successful as last year. 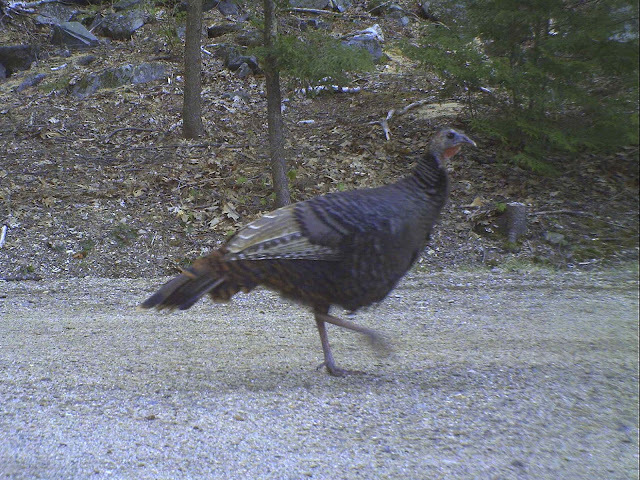 We’ve also had a lone turkey visiting the yard lately. This is mating season, approaching nesting time, and I wonder if it is a young, one-year old male (a jake) that has been kept from mating by older, dominant males who collect and protect their harem. 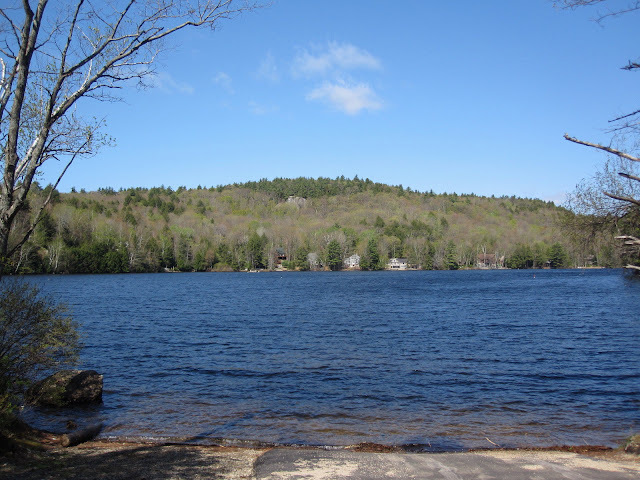 Since I’m constrained close to home with extra time on my hands during my foot surgery, I decided to read Henry David Thoreau’s “Walden” about his two years spent living on Walden Pond in Concord Mass. Needless to say, I’m getting much more out of his writing than the last time I “read” it as a junior in Ms. Nicoson’s Concord Authors class at CCHS. 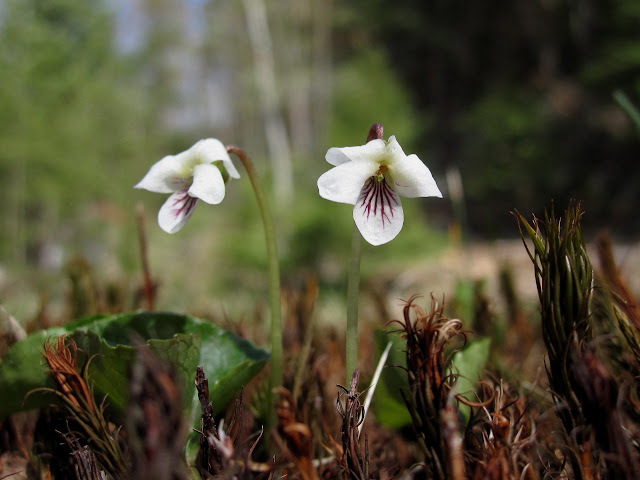 Anyone who loves spending time around Lake Wicwas will surely appreciate his account, as the parallels - natural, social, and political - between Lake Wicwas and the time and place of his experience are truly remarkable.